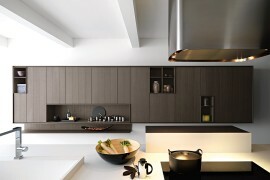 Contemporary kitchens are often filled with sleek design elements, glossy surfaces and dominated by just a couple of textures. 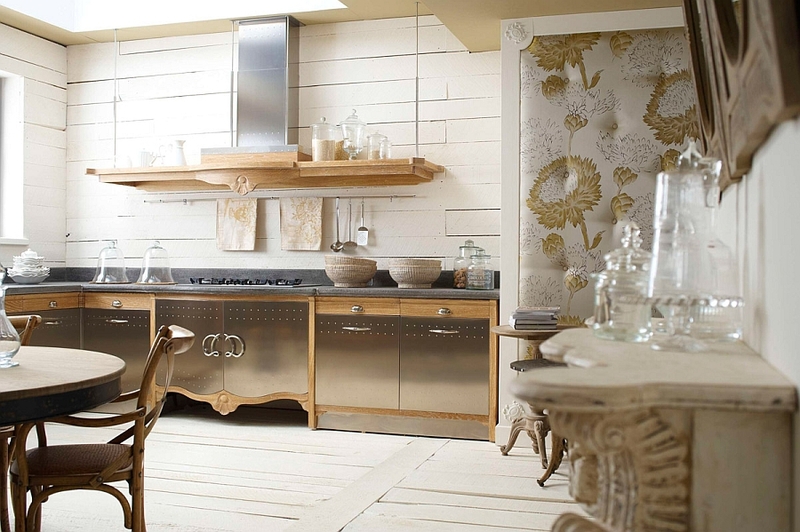 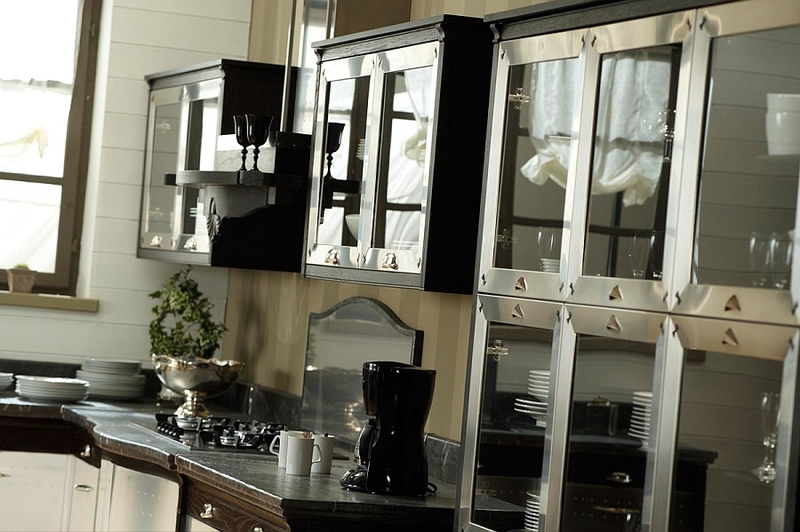 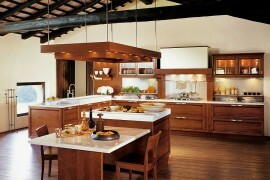 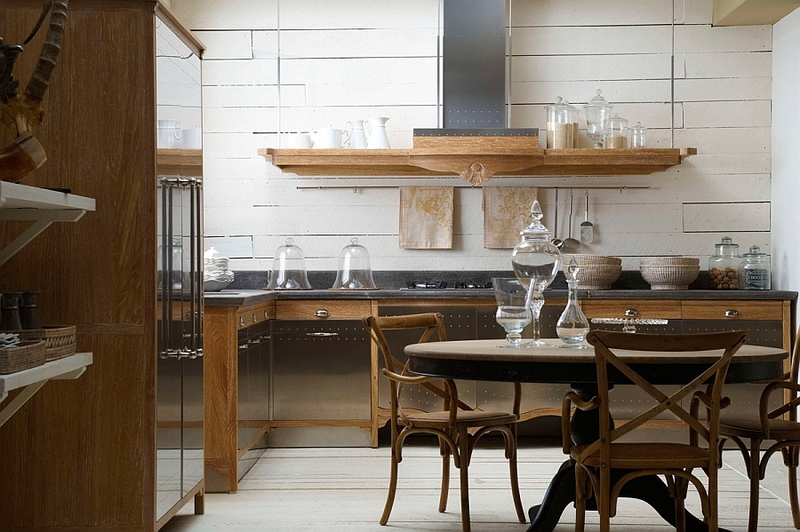 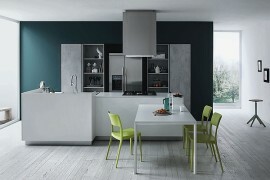 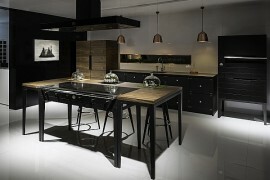 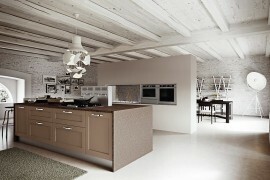 But that is not the case with the gorgeous and enchanting Dechora Kitchen from Marchi. 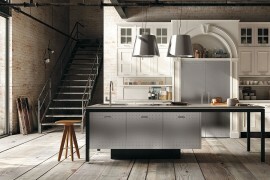 The kitchen has a unique style that the company dubs a ‘New Classic’, and every aspect of this timeless space fits the billing. 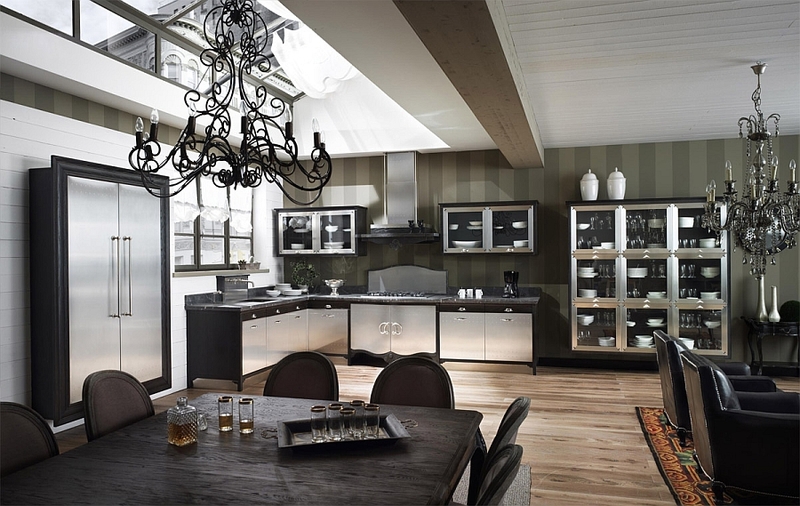 Combining practicality with elegance and a variety of natural textures, the custom kitchen design is all about bringing a sense of exclusivity coupled with inviting warmth. 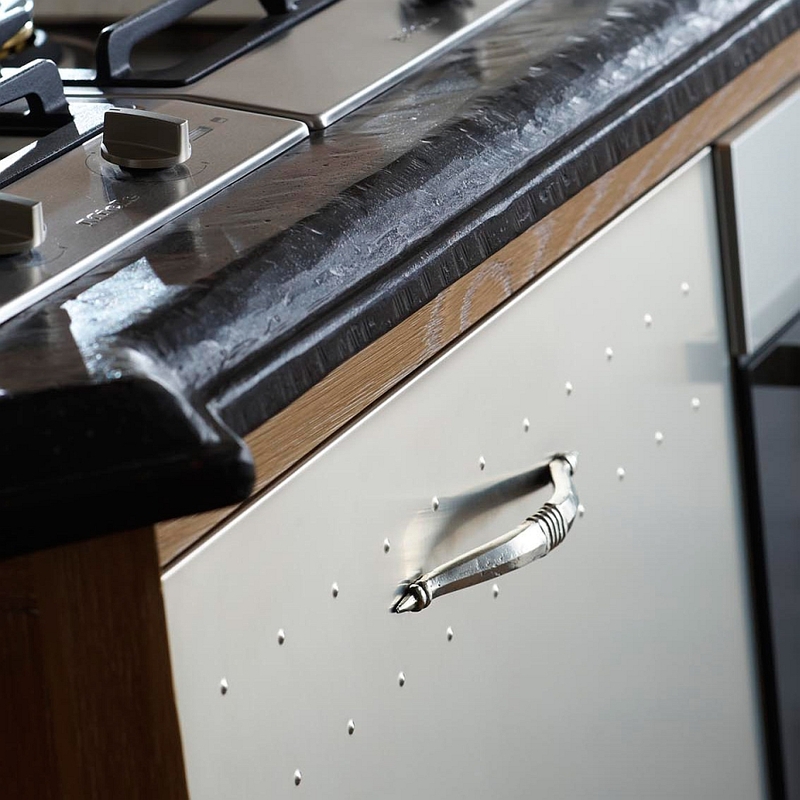 Despite its classic appeal, Dechora is filled with state-of-the-art kitchen appliances that ensure you get the very best of both worlds. 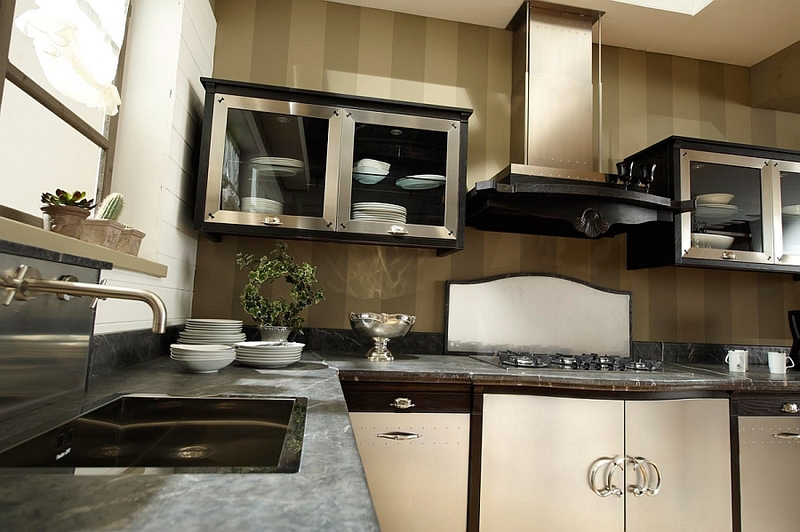 A cool blend of painted solid wood, decorated and satin-finished steel, marble and opus signinum is used for the countertops, and kitchen shelves bring in diverse elements and give the kitchen a cozy, luxurious aura. 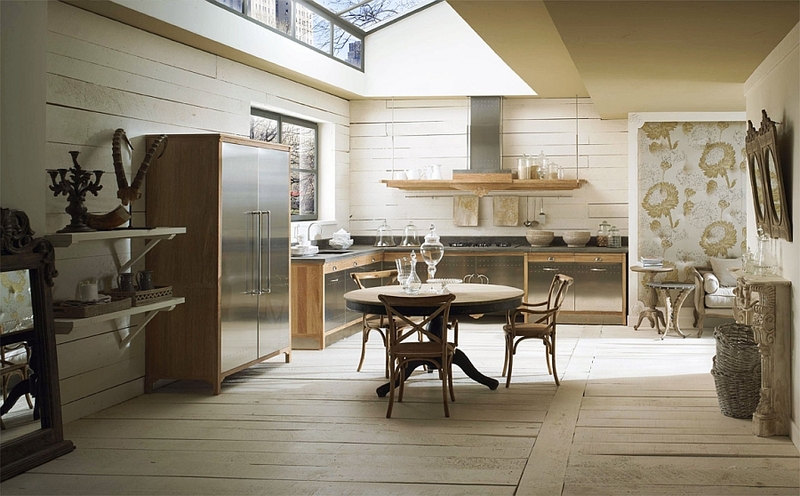 Each of these kitchens is exclusively designed to fit the color scheme and the floor plan of the consumer and to utilize the available space to the hilt. 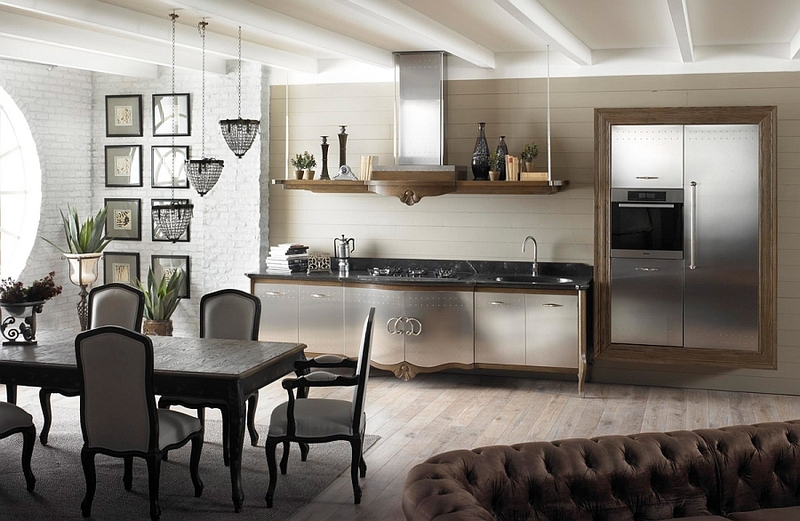 A multitude of color combinations involving decapè oak, silver French, stainless steel and black steel ensure that there is a perfect balance between form, functionality and understated class. 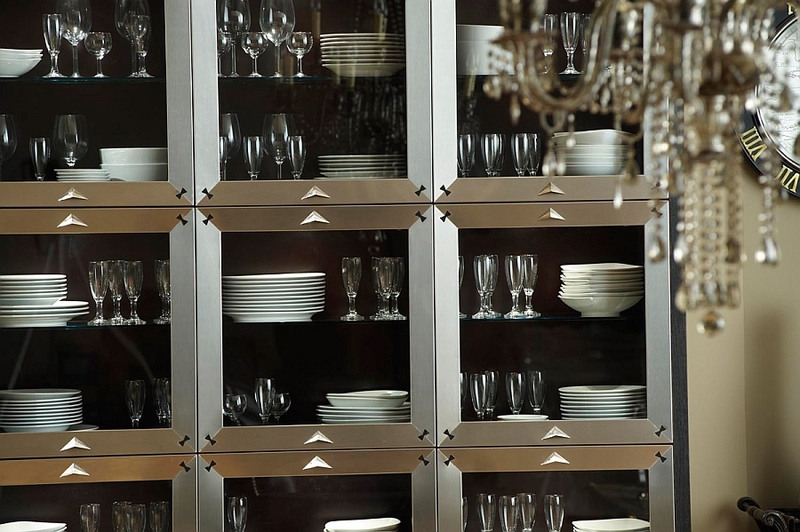 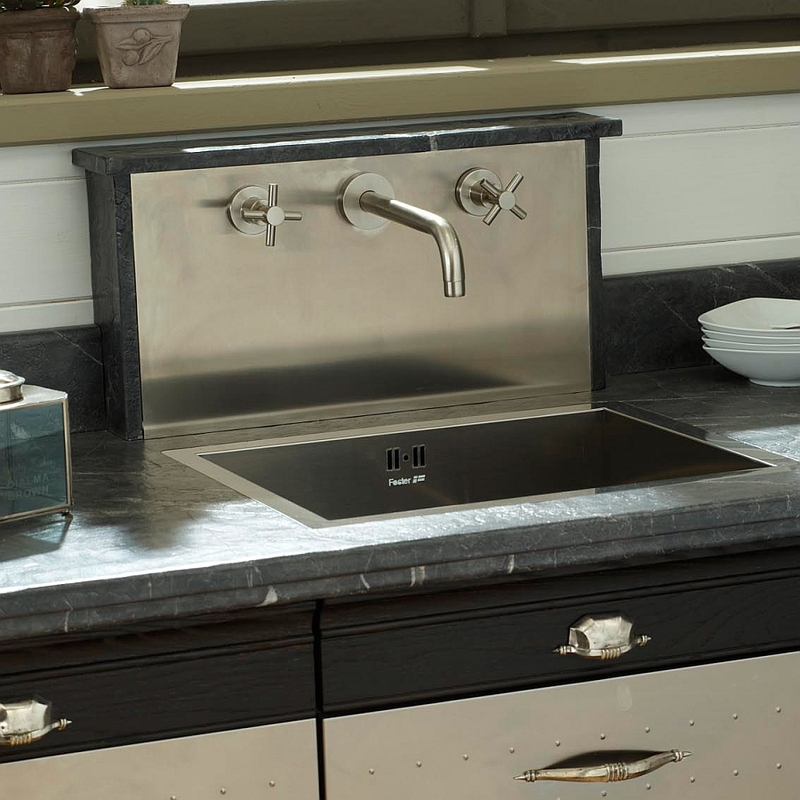 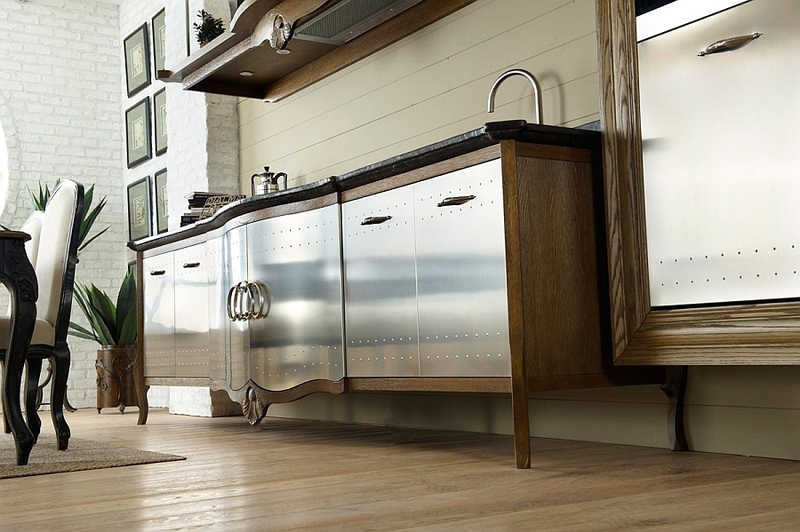 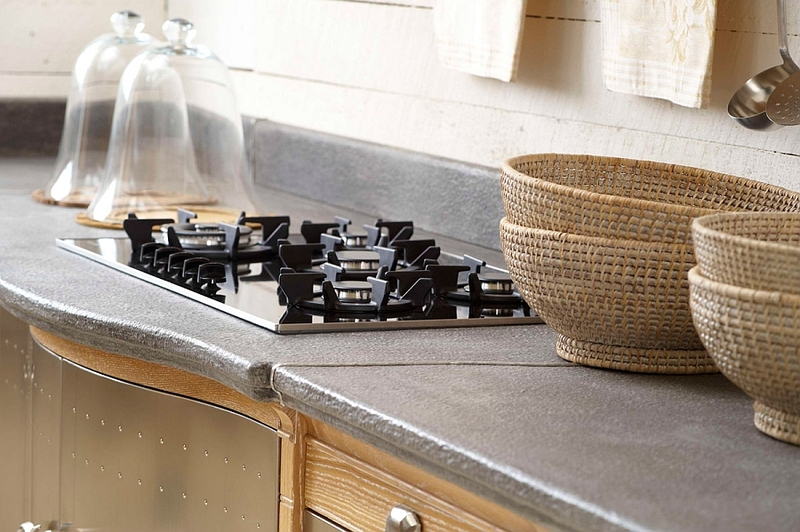 Metal plays a huge role in shaping the overall contours of Dechora, and the kitchen seems to fit well with those who want a retro, vintage or even an industrial-style kitchen.